Saatvaks organisatsiooniks on Avatud Ühiskond MTÜ. Noortevahetuse eesmärk on tuua kokku noored huvilised vanuses 18-25, et arutleda teemal kuidas käsitööna valmistatud toodetega alustada ettevõtlusega. Projekti esmane eesmärk on tagada noortele osalejatele kompetentsid, mis aitavad realiseerida osalejatel mõtteid kuidas neil oleks võimalik ise valmistada tooteid mida müüa ja seeläbi luua noortele tulevikuks tugevam konkurentsieelis teiste ettevõtjate ees. Töötube viib läbi Vesuuvi instituut, mis tegeleb arheoloogiliste uuringute korraldamisega Pompei linna piirkonnas. Piirkonna eripärast lähtudes suunatakse erilist fookust käsitööna valmistatud saviarhitektuurile. Projekti vältel alkoholi tarvitamine ei ole lubatud. Osalejatel on võimalik külastada nii Vesuuvi vulkaani ja tutvuda iidse Pompeii linnaga. The Youth Exchange “Creative Handmade: From Passion to Entrepreneurship” is organized by cultural association “La Fucina dei Saperi” in Naples, Italy, during the period of 20.07.2019 – 30.07.2019, including 30 participants and five members (four participants + group leader) from 5 countries. The aim of the project is to promote and implement a selective waste collection and management system to reduce uncontrolled landfill, raise awareness among communities and local communities about selective collection and recycling of waste and improve the capacity of stakeholders and partners to contribute to environmental protection. 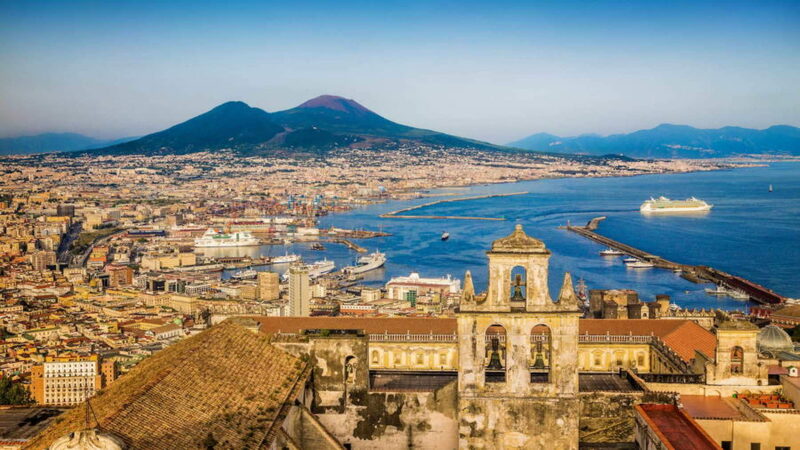 The youth exchange takes place between 20 of July (arrival day) and 30 July (departure day) 2018 in Naples, Italy. Through manual workshops the participants will be able to approach the creation of handmade objects, exploring their market potential. These creations allow us to create a link with the territories where they were conceived, in our case the focus will be on the handling of clay to create typical artefacts and the creation of ancient fragrances with the ingredients of the Sorrento peninsula. The youth exchange will bring together 30 young people aged 18-25 from 6 countries (United Kingdom, France, Estonia, Portugal and Czech Republic) for 10 days. The competencies we intend to acquire participants in this mobility are not directly related to a particular field, being multidisciplinary. The methods used are based on non-formal education and will make the transition from the information received to the transmitted information, with emphasis on the process of learning and awareness of the acquired competencies. The Handmade has all the requirements to help young people, N.E.E.T. or unoccupied. The project aims to provide curiosity towards the manual arts, giving concrete ideas to transform the passion towards these in the work of an entrepreneurial nature. Manual creations infuse self-esteem and confidence towards one’s own abilities, encouraging participants to support the need to undertake autonomous actions. Through the discovery of the manual arts, we can discover the peculiarities of all the countries involved, moving the teachings acquired during the activities towards them and impacting significantly on the partner associations, which they can apply, in the sensitive contexts in which they operate (the schools, young women’s communities, contexts at risk of social exclusion such as those of migrants, etc.) the good practices learned during the project and create a dense network with local communities. self-directing methods (creativity, discovery, responsibility, action). 30 youngsters who are between 18-25 years old belonging to partner organizations, involved, interested and motivated to participate in the project. Participants are people who fit the criteria mentioned above, such as are N.E.E.T or otherwise unoccupied. In the selection phase, people presenting the unemployed profile will have the highest priority. In addition, in the respect of equal opportunities, gender balance will be guaranteed. Having an interest in the project’s topic is mandatory – it’s not a holiday! All participants have to be over 18 years old as otherwise, they cannot participate in the project. Exceptions will be made for those who are with fewer opportunities. All participants should speak and understand English. Participants should be curious of discovering other cultures. Participants should be interested in making follow up international projects. Naples is the regional capital of Campania and the third-largest municipality in Italy after Rome and Milan. In 2017, around 967,069 people lived within the city’s administrative limits while its province-level municipality has a population of 3,115,320 residents. Its continuously built-up metropolitan area (that stretches beyond the boundaries of the Metropolitan City of Naples) is the second or third largest metropolitan area in Italy. Near the project venue, there’s Pompeii – an ancient Roman city near modern Naples in the Campania region of Italy, in the territory of the comune of Pompei. 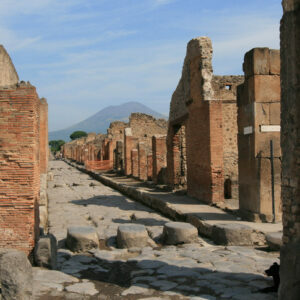 Pompeii, along with Herculaneum and many villas in the surrounding area (e.g. 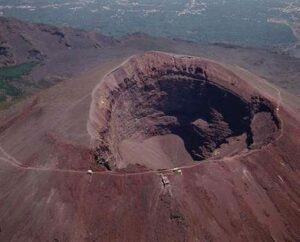 at Boscoreale, Stabiae), was buried under 4 to 6 m (13 to 20 ft) of volcanic ash and pumice in the eruption of Mount Vesuvius in AD 79. Many of the inhabitants were also buried before they could escape. Largely preserved under the ash, the excavated city offers a unique snapshot of Roman life, frozen at the moment it was buried and providing an extraordinarily detailed insight into the everyday life of its inhabitants. During excavations liquid plaster was used to fill voids in the ash that once held organic remains including wood, human and animal bodies, giving unique and often gruesome images of their last moments. The numerous graffiti carved on the walls and inside rooms provides a wealth of information regarding Vulgar Latin spoken colloquially rather than that of the classical writers. Each participant should have valid health insurance (for example European Health Card) and travel insurance during the whole participation in the project. Also, participants must have during the youth exchange the travel documents: identity card/passport. Participants must prepare a presentation of the sending organization which will be presented during the workshop Networking. So bring with you material about your organization (brochures, flyers, etc.). Avatud Ühiskond MTÜ will assist you with that. For the project, each national group should prepare brief research about the project topic. Avatud Ühiskond will be able to help with that as well – we are going to have a preparatory meeting in Estonia with the whole group and the group leader has the possibility to attend the advanced preparatory meeting. Participants will receive a “Youthpass” certificate which describes and validates the non-formal and informal learning experience gained during the project. Youthpass is a European recognition tool for non-formal and informal learning in youth work, developed by SALTO, initially for the Youth in Action programme. Youthpass is for projects funded by Erasmus+ youth programmes and helps the participants of those projects to record their learning and skills development, which could then be used to support job applications or applications for further courses for example.